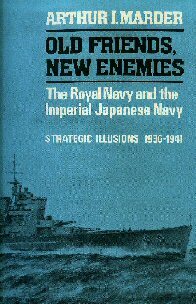 Military History Books, OLD FRIENDS, NEW ENEMIES: STRATEGIC ILLUSIONS 1936-1941,Arthur J. Marder,Oxford University Press,ISBN 0198226047,The Royal Navy and the Imperial Japanese Navy, THE M113-A1 IN CANADIAN SERVICE,Ed Storey,Service Publications,ISBN�9781927822029, MARCHING ORDERS,Bruce Lee,Crowood,ISBN 0517575760,Japanese Purple ciphers,Ultra/Magic signals, LESSONS IN DISASTER: MCGEORGE BUNDY AND THE PATH TO WAR IN VIETNAM,Gordon M. Goldstein,Henry Holt & Co,ISBN�9780805090871,John F. Kennedy,Lyndon B. Johnson, CONVOY PEEWIT,Andy Saunders,Grub Street,ISBN 9781906502676,Convoy CW9 �Peewit�. The Royal Navy and the Imperial Japanese Navy. 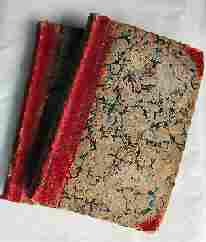 An outstanding study by one of the foremost exponents of British Naval history. It examines the Royal Navy's confrontation with the growing power of the Imperial Japanese Navy, and the Royal Navy's miscalculations on how to combat it. The author highlights the disunity between the British and American naval staffs, and the factors which led to the fateful decision to send just two capital ships to the Far East. 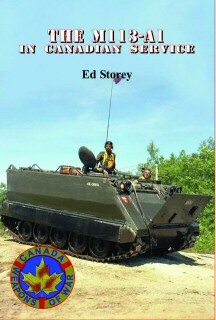 From the popular Service Publications series, this compact book provides details of the M113-A1 Armoured Personnel Carrier which entered service between 1964 and 1968 in various roles including Armoured Vehicle Recovery, TOW Missile Launch, Cargo Carrier and Radar Vehicle, as well as the standard APC. The book's centre spread features 3-view and scrap drawings of three variants of the vehicle. The breaking of the Japanese Purple ciphers. 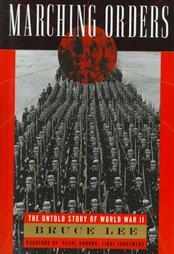 Taken from thousands of declassified Ultra/Magic signals, these are transcripts of signals between Berlin and Tokyo that, with a chronological overlay by the author, demonstrate how the decoding allowed the High Command to understand the strategy and plans of Germany and Japan and influenced the strategic prosecution of the war. Also looks at the duplicity of Laval, the Latin American countries willing to support the Axis and the ceding of Berlin to the Soviets. In the last years of his life the former US National Security Adviser, McGeorge Bundy, revisited the role he played in leading the nation into the Vietnam War as a counsellor to Presidents John F. Kennedy and Lyndon B. Johnson. 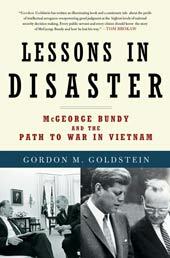 In this original and provocative work the author draws on his prodigious research as well as interviews he conducted with Bundy before his death in 1996 to distill the essential lessons of America's involvement in Vietnam. August 8, 1940: The First Day of the Battle of Britain. During the morning of 7th August, 1940 over twenty merchant ships set sail in Convoy CW9 �Peewit�, and edged past Dover as daylight faded. But the large convoy had been seen by the Germans from Cap Gris Nez and E-Boats left Boulogne to watch and wait for the convoy. With horrendous suddenness the E-Boats were amongst the convoy as it passed Newhaven. Like a pack of wolves into a flock of sheep, the Germans scattered the convoy and mayhem ensued until the attack was called off in the gathering light. The rest would be left to the Luftwaffe.